Globally,Henkel operates with leading innovations, brands and technologies in three business areas: Adhesive Technologies, Beauty Care and Laundry & Home Care, while in India it operates in two business areas: Adhesive Technologies and Beauty Care. Our strategic priorities guide us in shaping the future. Henkel operates globally with a well-balanced and diversified portfolio. 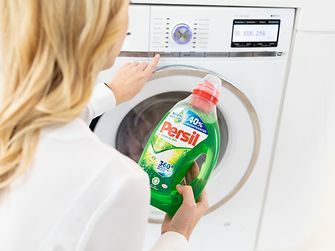 The company holds leading positions with its three business units in both industrial and consumer businesses thanks to strong brands, innovations and technologies. Henkel Adhesive Technologies is the global leader in the adhesives market – across all industry segments worldwide. In its Laundry & Home Care and Beauty Care businesses, Henkel holds leading positions in many markets and categories around the world. 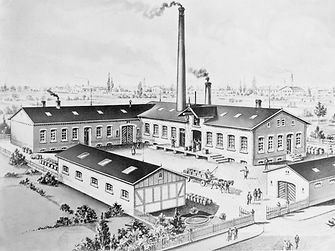 Founded in 1876, Henkel looks back on more than 140 years of success. 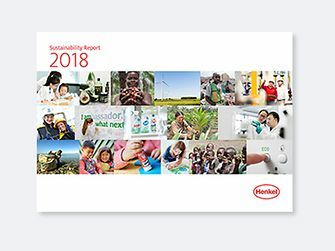 Henkel employs around 53,000 people globally – a passionate and highly diverse team, united by a strong company culture, a common purpose to create sustainable value, and shared values. As a recognized leader in sustainability, Henkel holds top positions in many international indices and rankings. 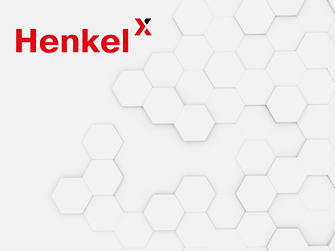 Henkel’s preferred shares are listed in the German stock index DAX. Henkel in India operates in two business areas: Adhesive Technologies and Beauty Care, both in the business-to-business realm. It has two legal entities in the country; namely, Henkel Adhesives Technologies India Private Limited (a wholly owned subsidiary of Henkel) and Henkel Anand India Private Limited (a joint venture company of Henkel and Anand Group). 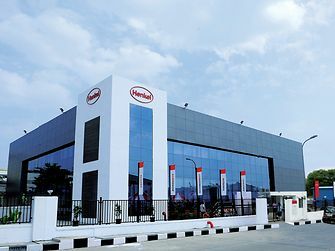 Headquartered in Navi Mumbai, currently, Henkel in India has a footprint comprising 8 manufacturing sites, an innovation center, a product development center, a flexible packaging academy and 5 Schwarzkopf Professional academies . It employs approximately 1,000 employees across these sites. Henkel is the name behind many well-known brands such as Loctite, Teroson, Bonderite, Aquence, Technomelt and Schwarzkopf. 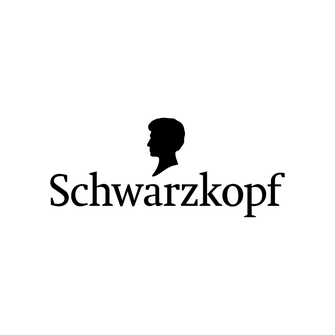 The company offers a multitude of applications and services to satisfy the needs of different customers. Henkel Anand India Private Limited is a joint venture company of Henkel AG & Co. KGaA and Anand Group. The company has manufacturing facilities at Gurgaon, Chennai and Parwanoo. It manufactures and supplies adhesives, sealants and NVH products to the Indian automotive industry. Globally, the Adhesive Technologies business unit provides tailor-made solutions with adhesives, sealants and functional coatings in two business areas: Industry as well as Consumer, Craftsmen and Building. In India, the Adhesive Technologies business is a market leader in adhesives, sealants and surface treatments. The business unit is divided in 4 Strategic Business Units ‏(SBUs), each following its own business model, and targeting different markets and customers. The SBUs are: Packaging + Consumer Goods, Transport + Metal, General Industry and Electronics. 47% of total Henkel sales 2018. Read more facts and figures on henkel.com. Globally, the Beauty Care business unit is a leader in the Branded Consumer Goods sector with Hair Cosmetics, Body Care, Skin Care and Oral Care, as well as the professional Hair Salon business. The Beauty Care business in India offers Schwarzkopf Professional range of cutting edge hair care products through hairdressers and salons. The business focuses on providing hair dressers and salons with the wherewithal required to deliver hair care services efficiently. 20% of total Henkel sales 2018. Read more facts and figures on henkel.com. The Laundry & Home Care business unit is globally active in the laundry and home care Branded Consumer Goods business. Please note that the Laundry & Home Care business is not available in India. Visit our global website for more information. 32% of total Henkel sales 2018. Read more facts and figures on henkel.com. By 2020 and beyond, we want Henkel to generate continued profitable growth, to become more customer-focused, more innovative, more agile and fully digitized in our internal processes and customer-facing activities.